I opened my mailbox on Saturday and found a wonderful surprise. 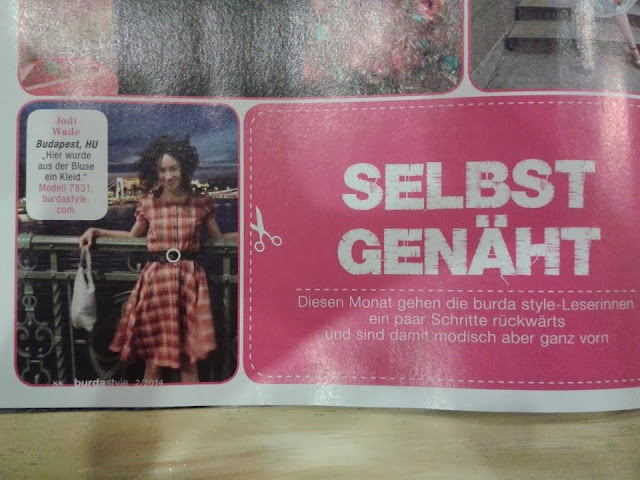 The February German edition of BurdaStyle magazine with a dress I made in it! The belt and bag are me-made too. I made this dress four years ago. I hadn't realised it was that long ago at all. I still wear it all the time.